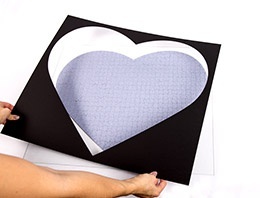 The heart shaped puzzle finds its finishing touch in our aluminium frame. The combination of a silver frame and a black background shows off your puzzle and makes it work more elegant. Unforgettable moments are being kept behind the glass forever. A fully different way to enjoy your photo puzzle and a good protection for every single puzzle piece. 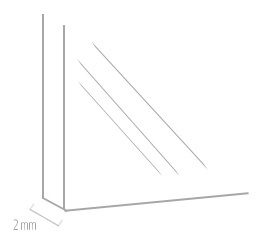 Our frame packaging is made of tight fitting sturdy materials and therefore very suitable to ship frames. The frames are wrapped in impact-proof bubble-foil, which protects the frame from within, whereas a double wall cardboard ensures the protection of the frame from the outside. Protected outside, secured inside. After all, your frame will have to endure the transporting process. 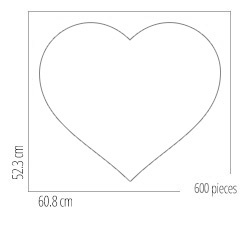 Please find the most important steps that will help you to handle your 600 pieces heart puzzle frame below. Slide the completed puzzle on a stable surface and put the glass on top of the puzzle. Pick up the surface together with the puzzle and the glass and turn it around carefully, take the surface away, so that you see the back of the puzzle. 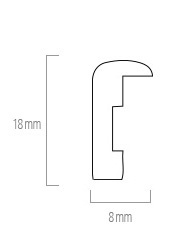 Put the passe-partout flush to the glass around the heart shaped puzzle. Put the supplementary sheet with the white side up on the passe-partout and the puzzle. 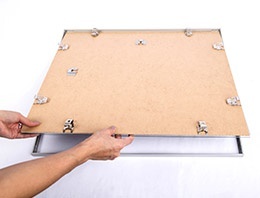 Take the frame backboard and put it on the back of the jigsaw with the clips and the hang up connections upwards. Now the glass front with the backboard and the jigsaw in between can be put carefully into the frame. Push each of the clips slightly down and attach them to the frame. Are the frames (with real glass) packaged break proof? We have developed special shipping packages to go sure that your puzzle frame arrives undamaged. If despite all the precaution a damage should occur, please contact our customer service. We will take care of a replacement immediately. Do I have to glue my photo puzzle before framing it? No, this is not really necessary. 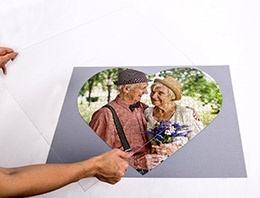 The photo puzzle will find its hold within the puzzle frame without the help of glue. Can't I just buy a standard frame around the corner and put my photo puzzle in? This is not a good idea. We know from customers who tried this out, that they missed the perfect fit. Our frames are really tailor made and fit exactly to the millimeter to our photo puzzles. Is it possible that the heart shaped puzzle gets out of place in the frame? Thanks to the pressure applied by the rear panel and the hold of the passe-partout the heart shaped puzzle is secured from slipping away.